We recently announced that first Vintage Collective Market event for 2017 is taking place January 29th at the Midland Railway Workshops which is truly exciting. With this also come my fabulous event, Miss Lady Lace’s Pinup Parade, a fabulous vintage pinup contest which is fabulous opportunity for vintage lovers to show their passions on stage. Each lady has up to one minute on stage to showcase their vintage style, confidence, and character with our winners being given some wonderful prizes. I thought it would be lovely with our team working so hard to put together events for 2017 it would be fabulous to share a little slideshow from our October 2016 event at The Rock, Rattle & Roll Festival for Telethon. This was a special event in which all entry fees were donated to Telethon! Victoria out past pinup parade winner. Irene and Andrew Jones for their photographer. 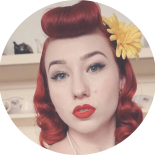 This entry was posted on December 20, 2016 by Miss Lady Lace in miss lady lace's pinup parade, Pinup and tagged 1940's, 1950's, blogger, glamour, miss lady lace, miss lady laces pinup blog, perth burlesque, perth pinup, perth pinup blog, perth pinup community, pin up, pinup, pinup blog, pinup blogger, pinup fashion, pinup girl, pinup life, pinup lifestyle, pinup perth, red lips, retro blog, retro girl, retro glamour, the perth pinup community, victory rolls, vintage, vintage blog, vintage blogger, vintage fashion, vintage girl, vintage glamour, vintage perth, vintage pinup blog.